Android sells more than iPhone in non-English speaking countries because in a world with fewer native language apps, price is the main differentiation. iPhone rules in English speaking countries because people value access to large numbers of safe apps in their native language. For iPhone to wrestle control from Android in the non-English speaking world, the AppStore needs every app translated into every language. It’s as simple as that. Although translated apps earn more than English-only apps, developers tell product managers that better features will increase English-only sales more than translating into other languages. Developers push hard on features vs languages because they would rather write code, which is their expertise, than manage translations. Meanwhile, product managers don’t really have a good way to argue for more languages. How can Apple give product managers the leverage they need? Apple needs to make a tiny 5 word change to the AppStore search query. The AppStore search brings up all the apps that match the customer’s search criteria, probably sorted by popularity. One way to get more translated apps is to alter the search results sort order to favor apps with translations. Show apps with many languages first and have the English-only apps displayed last. This tiny five word change to the AppStore search query will give product managers leverage to add languages. As apps add languages to get better search result rankings, the AppStore will have more multi-lingual apps. People in Android countries will choose iPhone for the same reason English speaking customers choose it, access to a wide array of amazing safe apps in their native language. Note: The map compares web traffic between iOS and Android phones. Data was obtained at https://deviceatlas.com/device-data/explorer/webusage-by-country/traffic/no-tablet/country/es/type/os_name on Sept 26, 2017. Here are the latest updates and improvements to the Web Portal and El Loco app. Fixed overlapping screens and rendering issues with large form factors in Visual Context Editor. Fixed false-positive overrun indicators in Visual Context Editor. Updated reporting for translators and developers. Added the ability to pause/resume El Loco subscriptions. Improved performance and other bug fixes. Improved Swift file parsing and support. Fixed El Loco library integration error when Swift bridging header is present. Improved stability, error handling, and other bug fixes. Which Languages Should I Start With? The English market is the largest, supporting it first is smart. The next languages you should support are those known by you and your co-workers. Because the cost of translating to those internally known languages is close to zero, those are good languages to use as you learn about app localization. After those, the language choices depend upon your objectives. Commercial apps looking to make money should prioritize based upon potential markets. Look for non-English language markets where your app is popular and consider providing localized versions in those countries. If you find yourself asking “why localize my app,” know that the answer depends on your app objectives. When your app is a revenue source, you localize it to make more money. Localizing your app increases your marketplace. When you increase your marketplace, you increase the number of people who will see and possibly buy your app. The question is whether the increased sales will pay for the increased cost. There are multiple free options for localization (check some out here), so if it is possible to localize for free, the only cost is your time. The alternative Mac app store, Kagi.com, looked at ten Mac apps available in five different languages. Adding 5 languages to an English only app increased sales by 15% to 49%! When your app supports existing offline business customers, you localize to increase customer satisfaction and decrease customer support costs. Many businesses (banks, stores, doctors, governments, etc.) deploy a free app to make it easy for their customers to use their services. The USA and many other countries have people for whom the main language of the country is not their native language. Translating a business app into secondary languages makes it easier for these people to utilize business services and more likely to remain loyal customers as they learn the primary language of the country. The El Loco localization tool will manage localization of your app into two languages at no cost and there are ways you can get free translations of your app. Add two languages to your app and see what happens. The increased market could have dramatic results for your sales, customer satisfaction, and customer retention. 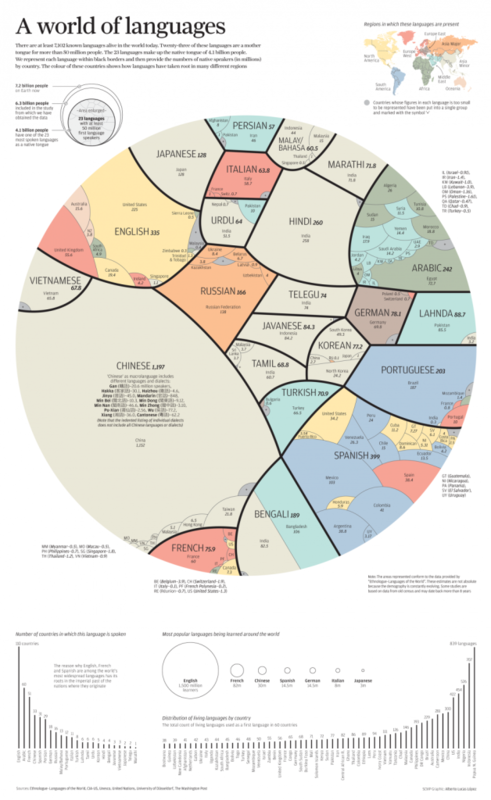 Which Language(s) Should You Begin With? There are a number of factors to take into account when considering which language(s) to translate your app(s) into. This post will help you evaluate languages and make decisions about where to begin. How Do I Translate My Non-English App? Not all iOS developers are fluent in English, and thus not all developers deploy their apps in English. For example, many Asian countries produce apps that are only available in their native language. So then, how do you go about getting your app translated from your native language into all of the other possible App Store languages? While there are professional and contract translators who can translate from one non-English language to another, they are less common and are thus significantly more expensive. Despite the fact that it may seem like extra work, it is currently easier – and cheaper – to translate a non-English app into English before changing it into other languages. You probably already know people who can translate your app into English and it is a good idea to use them for the initial first draft translation. However, for an accurate “American English” translation, you will also want to hire someone who is a native “American English” speaker. The English language, especially the US version, can be confusing and inconsistent with other variations. Have a native American English speaker convert your translated English into American English, then take advantage of the thousands of native speakers who can localize apps from English into other, non-English languages. An additional benefit of translating your app into English first is the English app market is very large and offers a larger pool of new potential users. Once you have your app translated into English, adding other languages will also cost less. Finding high-quality, professional translators may seem like a daunting task. Luckily, this post provides some helpful insight into translator wrangling. Yeah… We’ve got free too. Discover 5 Ways to Localize Your iOS App for Free and you’ll see that app translation doesn’t need to be expensive. Why is my iOS Localization Not Working? Learning how to create an iOS application can be difficult and for most programmers, preparing the code for localization is not a high priority. Like everything else programming related, iOS app localization can be very finicky and therefore it can require more time than a developer has to give. Everything must be done just right for it to work properly, and oftentimes, the reason localization does not work is something as simple as misnaming or data residing in an incorrect directory. Fortunately, iOS requirements are uniform for all apps and a tool is available to walk you through preparing your code to meet localization needs. The El Loco app can analyze your Xcode project and help you prepare your translation project and code correctly. The app is free to use and once your app is prepared for localization, you can upload the necessary information to the El Loco web interface for your translators. In general, the localizable portions of your app should go into lproj folders for each language your app supports. For example, en.lproj stands for English, de.lprog for German, en-GB.lproj for British English, zh-Hans.lproj for Simplified Chinese, and zh-Hant.lproj for Traditional Chinese. Each of these folders should contain a copy of the .xib and .strings files, as well as any images that are language specific, like banners containing text. Each lproj folder contains a set of files with the exact same names. When activated in region, the app looks at the user language and pulls resources from the appropriate folder. Essentially, each folder has to have the same resources just with different translations. Building an app is quite an accomplishment, but English-only iOS apps sell to just 8% of the world. Let the El Loco app from El Loco help you prepare your app for localization so that you can reach the other 92%. Learn more about our tools here. How Does El Loco Display My App? The El Loco web site never sees or stores your app source code. the definition of the screens that display those strings. The El Loco app then uploads those strings and screen definitions to the El Loco web site which converts them into HTML for display to your translators. The El Loco web site contains less information about your app than what is on an iPhone inside the purchased version. the El Loco web site is where translators work their magic while viewing an HTML interpretation of what your app looks like. com to validate the XML definition for plists it encounters. xamarin.com for error and crash reporting. com to validate your account details and to check for updates. The only real app related data the El Loco app sends is XLIFF files to the El Loco web site in order to generate the HTML representation of your app screens. No source code, XIBs, or Storyboards go to the El Loco web site. Once translation is complete, the El Loco app takes the XLIFF data from the web site, converts it appropriately, and stores it into your app so that your app supports your chosen languages. The El Loco iOS Library installed into your iPhone app extracts the screens as they display in the Simulator. The iOS library only extracts screens as they draw in the Simulator – never in the released version of your app. When a screen draw is complete, the library takes the elements displayed and transfers the screen definition to the El Loco app which stores the definition locally in the cache area. Frequently, the library will reduce your app image files into smaller compressed representations to minimize the data transfer because translators don’t need high resolution images that customers would expect. The El Loco app catches the data from the Simulator, processes it into XLIFF files, and when you tell it to, uploads them to the El Loco web site. The El Loco web site contains the screen definitions and strings from your app keyed to your login email and password. It manages translator access to the various languages. Instead of string files and screen shots that you would normally take manually, the web site displays your app to the translator with editable fields for each string. Being able to edit the strings in the screens makes it much easier for translators to provide correct suitable translations the first time. It eliminates the multiple round trips between developer and translator so common when translators cannot immediately see that a translation is one or more pixels too long for the allocated space. Once you approve a translation in the web site, you use the El Loco app to pull the translation data into your app. It is all under your control. Even if someone was able to hack the El Loco servers and steal your app data, all they would see are the strings and screens that you have indicated need translation. Presumably, it is the newest version of the same data they would see if they were using your finished app on their iPhone or iPad.